We value personal contact and custom services. That’s why we would like you to know the people behind EPONA Horses and Transport a bit better. 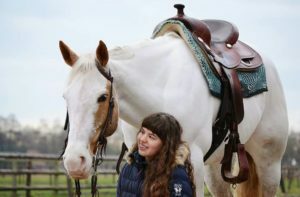 Ever since I was a kid, I’ve been crazy about everthing that involved horses and spent as much time with horses as I could. You could say I’ve been infected with the ‘Horsevirus’. 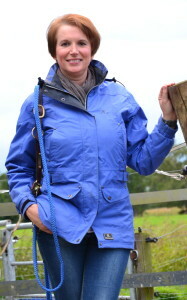 I am a licensed riding intructor and I have been working as an riding instructor on a riding school. 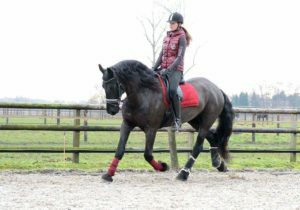 Because of this experience I have seen a lot of combinations of horses and riders and therefore I know how to recognise a good combination. I transferred the ‘horsevirus’ to my two daughters who ride our two American Paint horses at the moment. I am the right person to contact when you’re looking for the perfect horse and I will transport your horse as a certified driver. As a husband of a woman who has been infected with the ‘horsevirus’ , contamination was inevitable. I really enjoy making trailrides with the whole family, especially when we’re on holiday in Sweden. My function in our company is being the second driver in our horsetruck which can transport 2 horses and accompanying your horse. I’ve spent my life on horseback since I was just 5 years old. I started with several years of vaulting and after that I have been riding dressage and since several years I have also been showjumping. I spent time with our westernhorses every day, which have recently been on a show for the first time. During transport I will function as personal company and groom of your horse. I’ve been riding horses since I was 7 years old and I have experience with a lot of different breeds and sports. 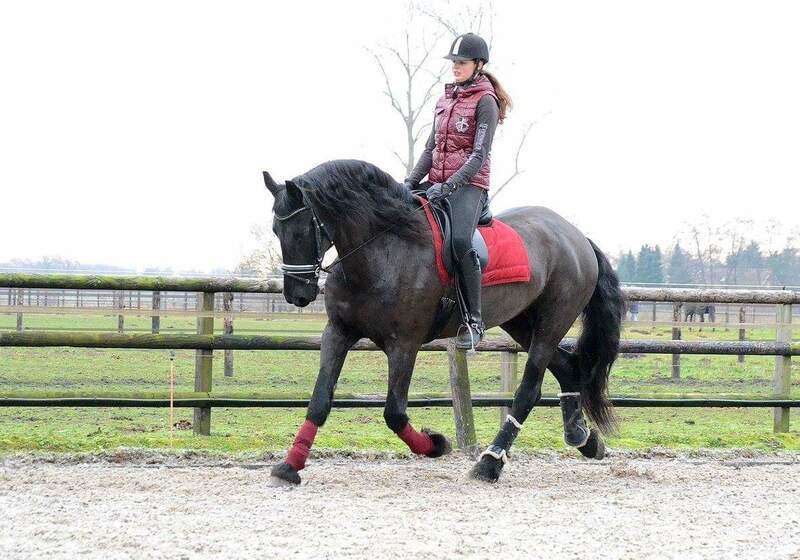 I currently ride dressage with somebody else’s Friesian horse and I love to make trailrides with her. I also ride western (pleasure and horsemanship) with our horses. I study Archaeology at the University of Groningen and I will take care of updating the website.